Wolverine | Animal Wildlife | The wolverine is a medium sized mammal that despite it's bear-like appearance (and it's name) is most closely related to the weasel. The wolverine is known to be strong and vicious and is said to have immense strength in comparison to it's size. The wolverine is found throughout Canada, Europe, parts of North America and the Arctic Circle where the wolverines inhabit mountainous regions and dense forests. 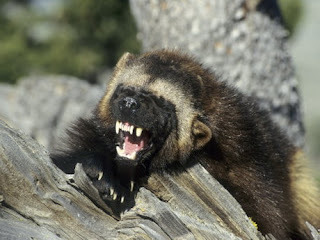 Wolverines are also known to venture into more open areas such as plains and farmland when they are in search of food. 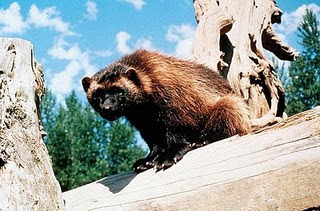 The wolverine generally eats mice, rats and other small mammals, birds and eggs during the summer months when these small animals are in abundance. 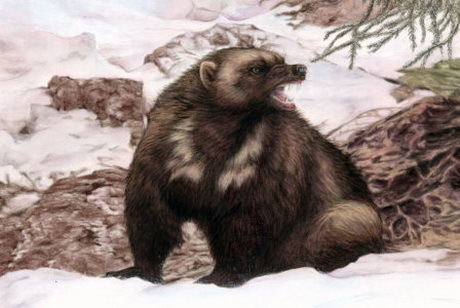 During the bitter winter however, when snow covers the ground, the wolverine tends to hunt larger animals such as reindeer (caribou), sheep and moose. Despite the fact that the wolverine is known to be capable of hunting down and killing animals that are so much bigger than itself, the wolverine tends to prefer to scavenge the kills of other animals such as wolves and bears. The wolverine will let the larger predators hunt the prey down and the wolverine then chases the hunter away by showing its teeth and growling fiercely. Then the wolverine is left to eat the kill. The wolverine uses its large teeth and powerful jaws to crush large bones and eat meat that has been frozen in the unforgiving Arctic winter. The wolverine also has long, sharp, powerful claws that the wolverine uses to catch it's prey and to defend itself from predators and other wolverines. The wolverine also uses it's claws for climbing and digging. Like the skunk, the wolverine has a strong-smelling fluid called musk which the wolverine uses to warn others to stay away. 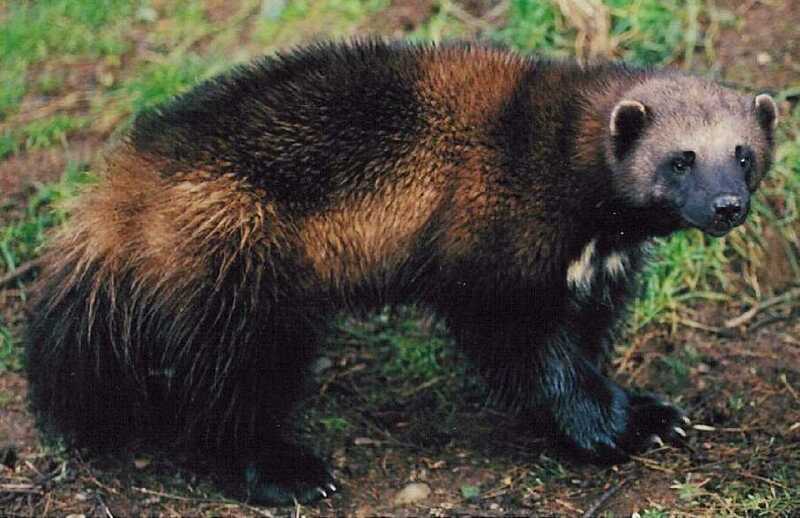 Wolverines also have a thick coat of brown fur to protect them from the freezing cold temperatures. 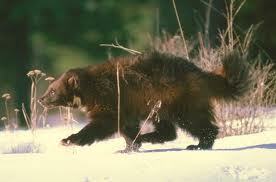 The wolverine has large feet help it move across the soft snow, with five sharp claws on each foot. Wolverines are highly territorial animals and they will fight other wolverines to defend their territory. Wolverines are not particularly fast movers (although they are known to reach speeds of more than 30mph when needed), so they do not chase or stalk their prey. However, wolverines are good climbers and often rest in trees, where the wolverines wait until the right moment to pounce on their prey from the trees or large rocks. 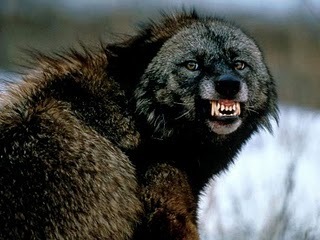 second picture - that is not a wolverine, but rather a wolf or a raccoon-dog. This is correct. Unfortunately I have seen people pinning this photo on Pinterest now, incorrectly claiming that the (dog) is a wolverine. It should be taken down.